Displacement: 934 ton. 1.094 ton. (loaded). Draught: 2.81 m 3.27 maximum. Propulsion: 4 Steam boilers Yarrow/Thornycroft , 2 Parsons steam turbines 12.200 hp, 2 Shafts 22.500 shp, 2 screws. Fuel: 250 tons oil fuel. Speed: Max 31 knots (trials). Range:: 1.530 miles at 11 knots. Armament: 3 guns Armstrong Mod. III 101.6 mm (4 in./40) 3 mounts; 2 Armstrong Guns Mod.II 47 mm/50; 4 450 mm Armstrong, Whitworth Co. torpedo tubes Complement: 142. During War she was fitted with 3 Oerlikon 20 mm, machine guns, D/C tracks and a sonar equipment was installed in the hull. Laid down as Porpoise at Thornycoft's Woolston shipyard on 14 March 1913 and launched on 21 July 1913. 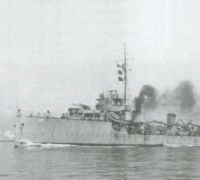 In 1912, as part of a general reorganisation of the Royal Navy's destroyers into alphabetical classes, the Acastas became the K-class, and in 1913, it was decided to switch to names beginning with the class letter, with Porpoise being allocated the name Kennington, but this plan was abandoned for the class and Porpoise completed under her original name in January 1914. On commissioning, Porpoise joined her sister ships in the 4th Destroyer Flotilla, based at Portsmouth. On the outbreak of the First World War, the 4th Flotilla, including Porpoise, became part of the Grand Fleet. On 23 December 1915, Porpoise and the destroyer Morning star were escorting a Russian icebreaker when forced to hove to near Fair Isle in a heavy gale. 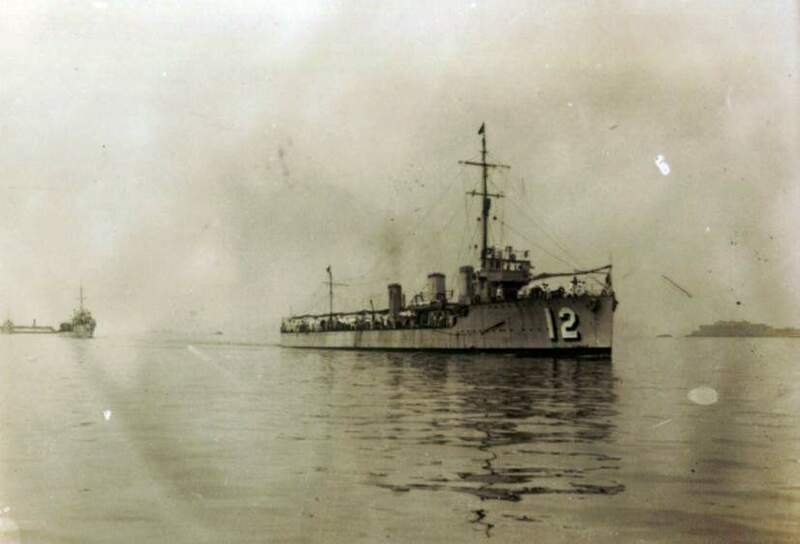 On 24 December, the 1st Cruiser Squadron, on patrol in the North Sea were ordered to search for the two destroyers, and the cruisers Hampshire and Donegal left Scapa flow to join in the search. Porpoise reached the shelter of the Cromarty Firth on 25 December, with Morning Star following on 26 December, both destroyers having suffered extensive weather damage and flooding. Porpoise, under the command of Commander Hugh D Colville, was one of 19 ships of the 4th Destroyer Flotilla that sailed in support of the Grand Fleet during the Battle of Jutland on 31 May/1 June 1916. In March 1920, Porpoise was sold to Thornycroft for refurbishing and onwards sale to Brazil as the Alexandrino Dealanca, commissioning in the Brazilian Navy on 9 December 1922. 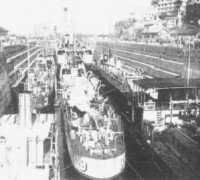 The ship was fitted with modified armament for Brazilian service, with three 4-inch guns and two 47 mm guns, and four 450 mm torpedo tubes in two twin mounts, all supplied by the British company Armstrong Withworth. 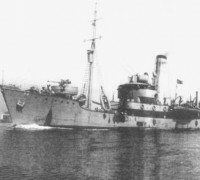 She was renamed Maranhão in 1927. On 13/Jul/43 Maranhao rescued 86 survivors from US merchant SS African Star. 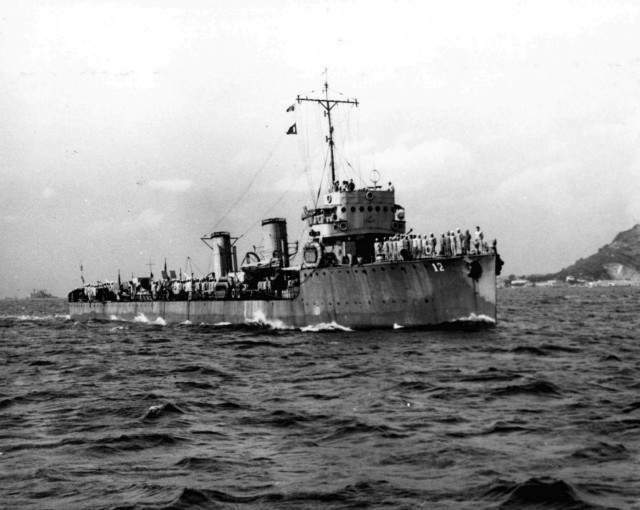 This ship had been sunk on the previous day by U-172 in pos. 25º46"S 40º35"W. The survivors had a radio transmitter and signals were picked up by spotting aircrafts. 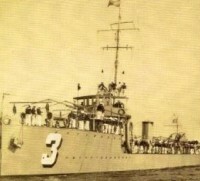 37 hours after sinking all them were rescued and taken to Rio de Janeiro. There was only one loss when an armed guard was thrown overboard and drowned.